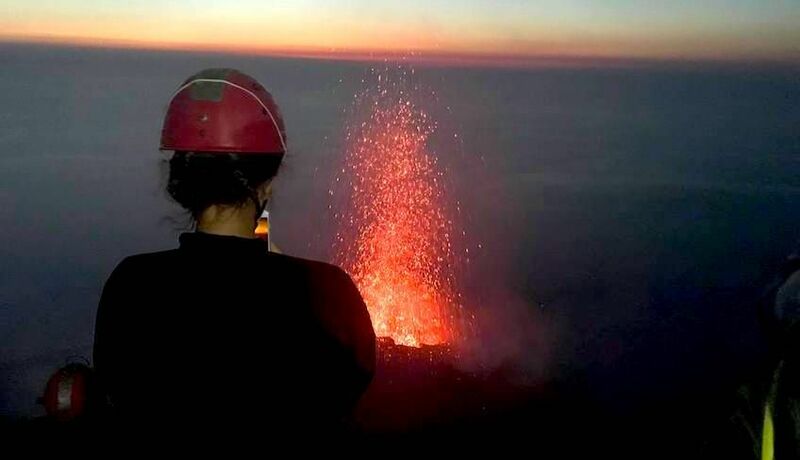 Imagine you could climb one of the most active volcanos in the world and enjoy the landscape from its summit! 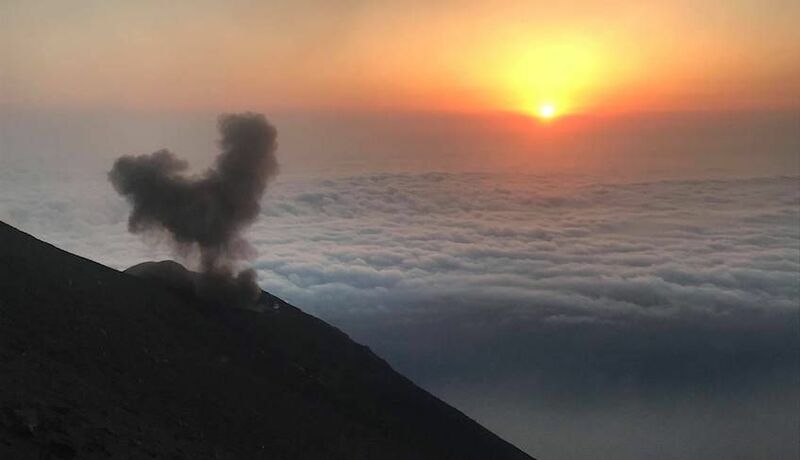 The Stromboli is the volcano of the Eolian Islands characterised by a continuous eruptive activity and it stands 926 meters above the sea level. 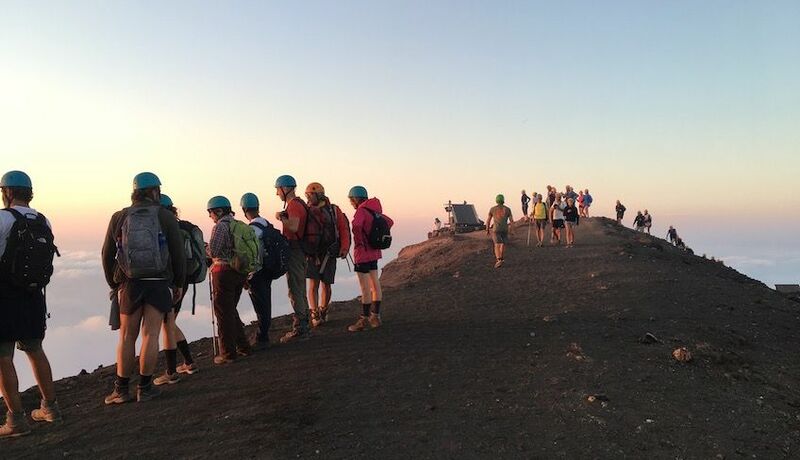 We propose you a trek accompanied an expert volcanologist guide that will take you up to the summit in about 3 hours! 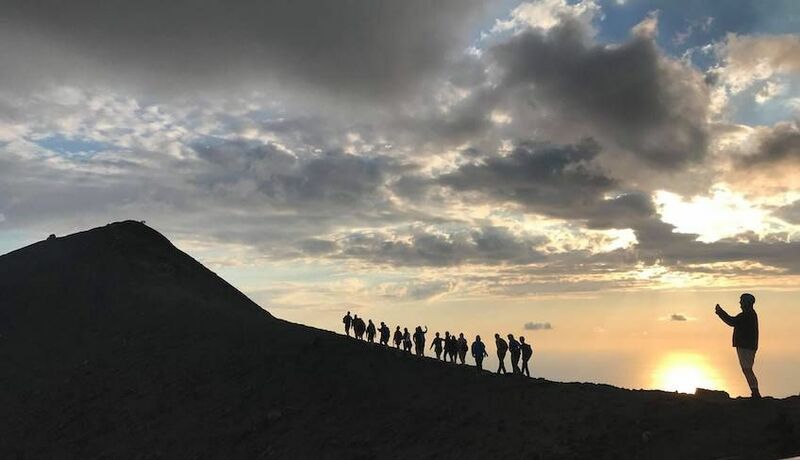 The excursion will start 3 hours before sunset in the square of the church San Vincenzo, it will take you about 2,30/3,00 hours to reach the peak. 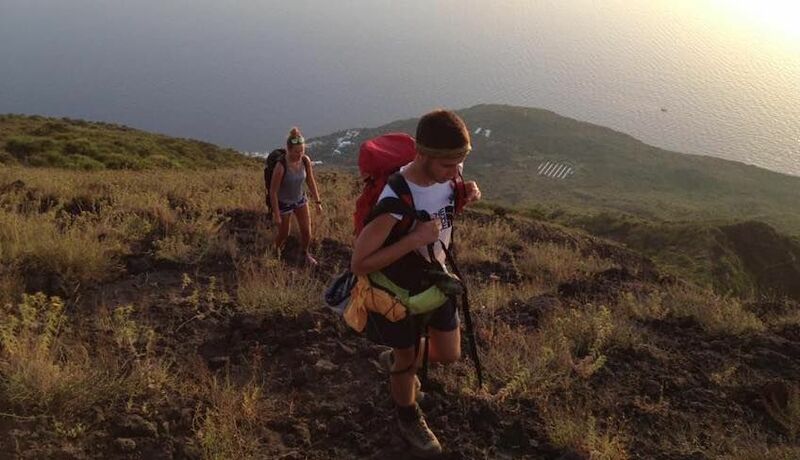 During the climb you will be able to enjoy all of the nuances of typical mediterranean flora: from the intense green to the different shades of lava stone that has sedimented over the years, blending in with the island's vegetation. 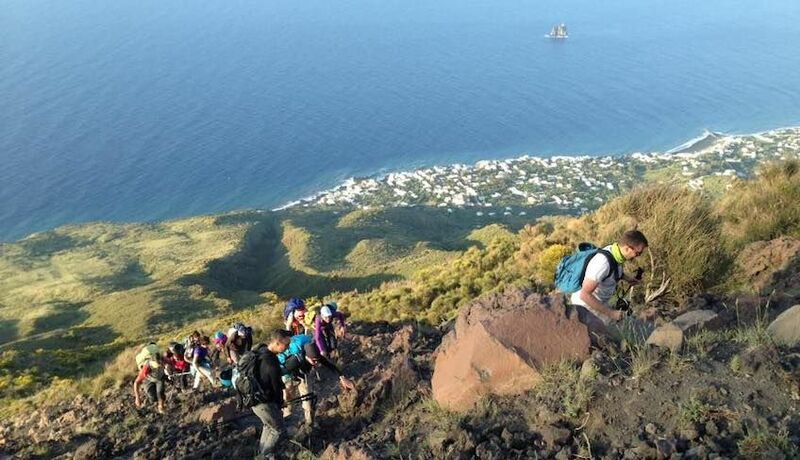 The excursion includes a pause every 30 minutes so that you will be able to rest and appreciate the landscape. The mix of sky, earth, water and fire will just leave you astounded! 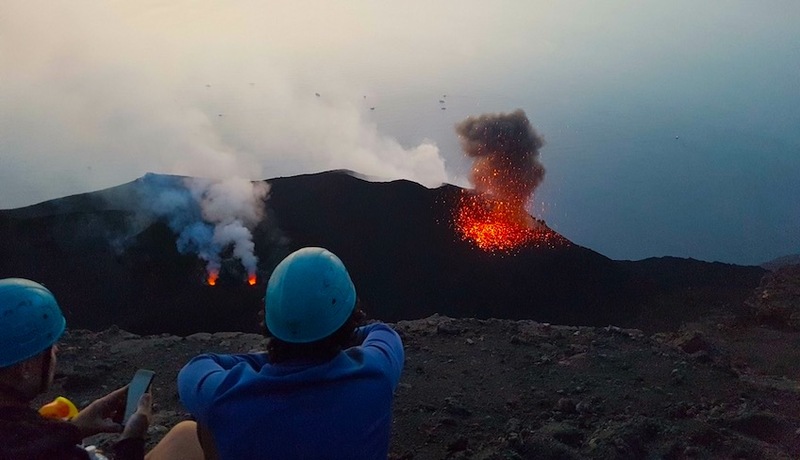 Once reached the peak, 900 meters above the sea level, you will be able to cherish the explosions of the Stromboli in the dark of the night! 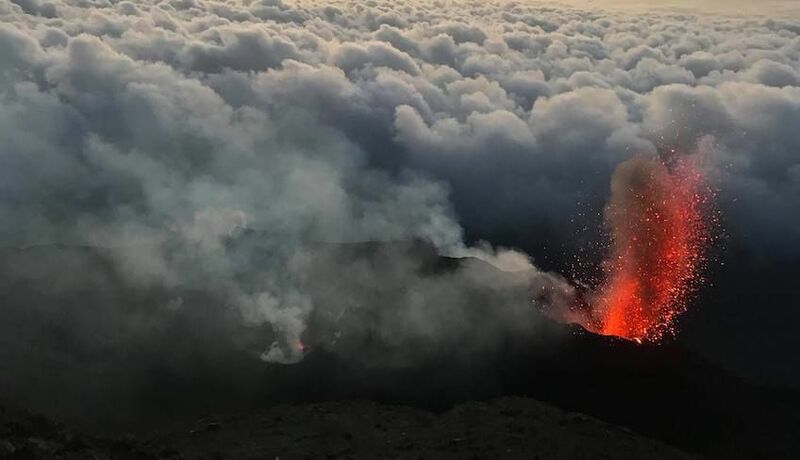 The duration of your permanence on the summit will depend on the volcano activity and it will be of about an hour. There, with from row seats, you will witness one of the most incredible and moving wonders of nature. Finally, the descent will take place through the "Rina Grande" a steep and sandy slope that in 1,30 hour will take you back to the start. 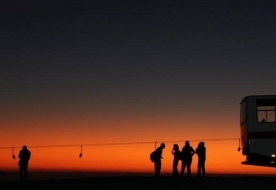 Duration: about 5 hours, 2,30/3,00 hours to climb up, 1,30/2,00 hours to descend. Starting: from 15:00 to 17:30 depending on season (departure time may vary of 30 minutes). Compulsory safety helmet, dust mask. Everything that is not specifed in the "include". Trekking shoes and a flashlight with alkaline batteries are mandatory equipment. 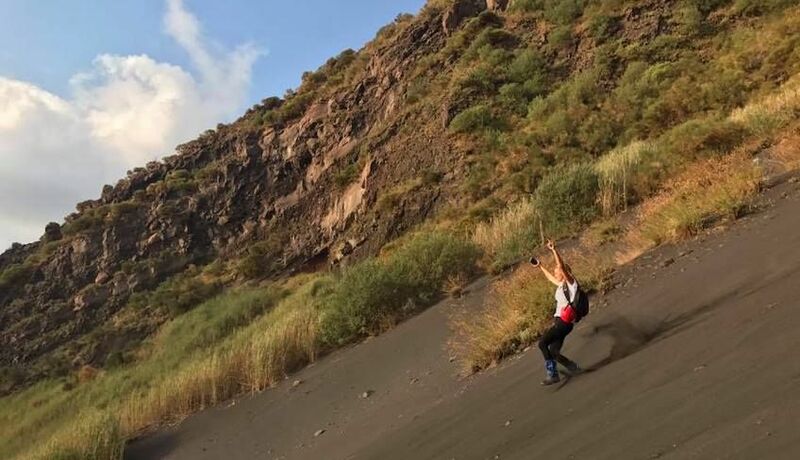 For a more comfortable experience we advise you to have what follows with you: backpack, sweatshirt, windproof jacket, short for the climb and long trousers for the descent in the sand, two extra t-shirts, handkerchief (to protect eyes/mouth from the dust), water (depending on season), sandwiches, chocolate or dried fruits. To confirm your booking we require the payment of the full amount. 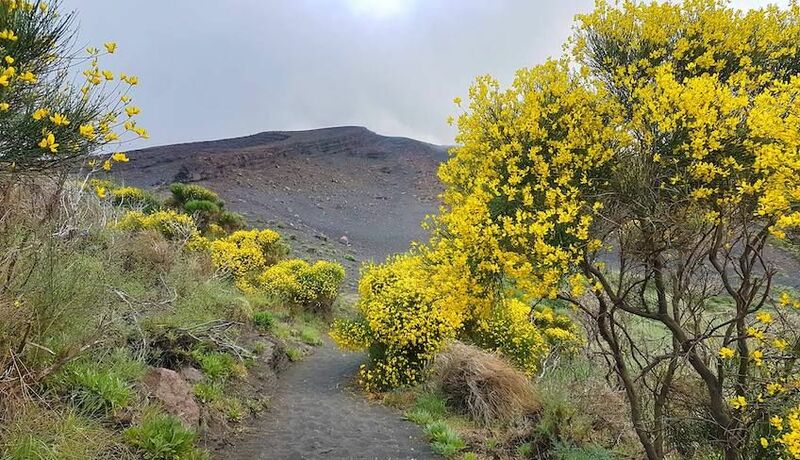 The climb is not suitable for people with known heart conditions, asthma or people suffering from vertigo. If you cancel at least 2 days in advance of the scheduled activity, there is a 30% cancellation fee. 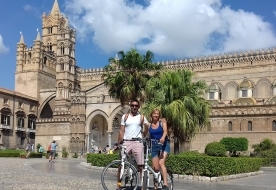 Palermo Day Tour by Bike with street food tasting.